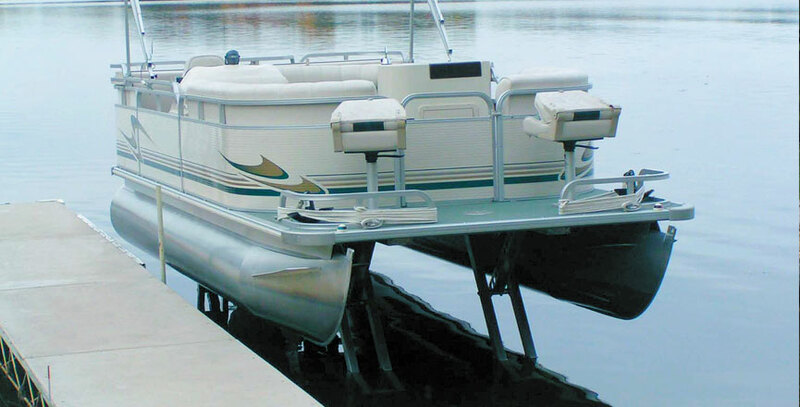 Hewitt electric Pontoon Legs are an innovative lifting system which enables pontoon boats to literally stand on their own four feet using nothing more than 12V battery power. 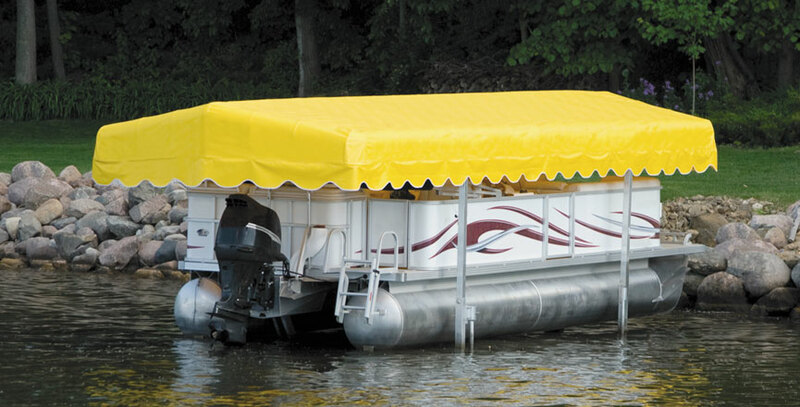 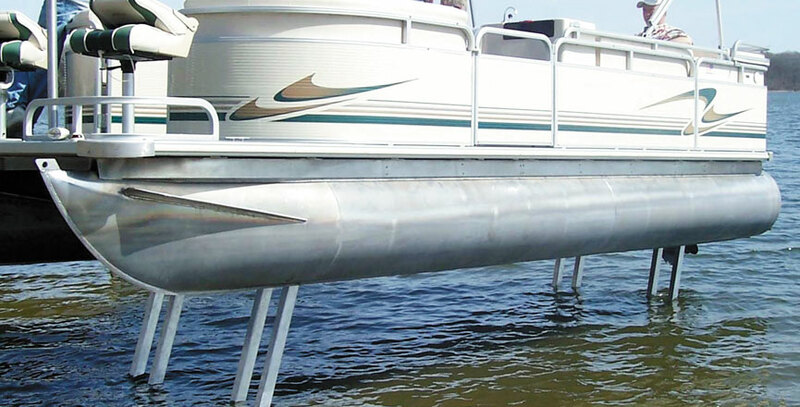 Constructed from high-grade structural aluminum and solidly bolted to the frame members of your pontoon boat, the complete system adds only 385 lbs of weight and has a load capacity of 6000 lbs. 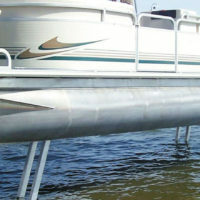 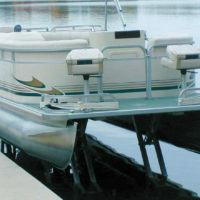 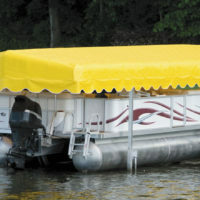 Maximum lift height is typically 5-1/2’ from the bottom of the legs to the underside of the boat deck or 3-1/2’ to the bottom of the pontoons.